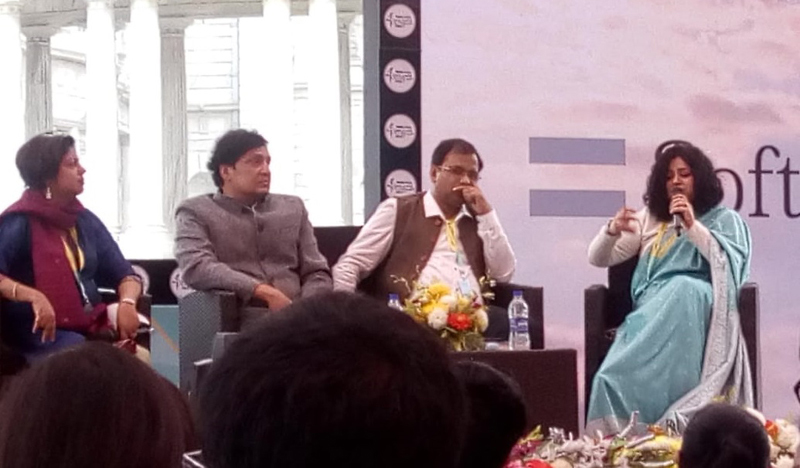 Kolkata: Creating convergence to neutralise fault lines present between communities on the basis of religion, caste, class and regionalism was the topic where writers like Nazia Erum, Tabish Khair and Abdullah Khan spoke at length at Kolkata Literary Meet on Republic Day. With Paroma Roy Chowdhury as the moderator, all panelists agreed that literature is a powerful tool to bridge the gap of hatred and prejudice that exist. Fault lines have always existed but now the gaps have deepened. “And the most harmful thing that is done is that we have involved our children in to it, the future generation of our country,” said Nazia Erum author of Mothering A Muslim Child. Both Tabish Khair and Abdullah Khan also maintained that fault lines do exist. “While growing up in a small town of Motihari, I came across this two liner which moholla children used to say- Chai garam Chai garam, Mia beta mar gaya parwa nahi hain (tea is hot tea is hot. Death of a Muslim son doesn’t bother me) and I used to replace the word Mia with another word. Though in Islam there is no caste system as per scriptures but Indian Muslims follow a caste system- The Khans, The Pathans etc. So this is a fault line. I remember when I was transferred to Punjab, someone said you are a Bihari but you don’t look like one’. This is another form of fault lines,” said Khan, author of Patna Blues. Khan has portrayed these fault lines beautifully in his novel, through his protagonist Arif, who has an affair with a Hindu married woman Sumitra, who loves Urdu poetry. Despite the sexual tension between the two, they keep denying it on moral grounds. Later, when Sumitra’s daughter falls for a Muslim boy, she gets infuriated, but only to realise that she is doing the same. This fault line is omnipresent in the Indian society. 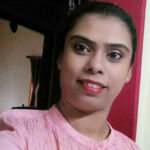 Nazia, originally from Assam has been living in Delhi now, reminisced about her childhood days in Assam where the fault lines were not visible. She talked about Namghars in Assam where the committee had a maulana of the local mosque. Similarly the local mosque committee had a pujari of the local namghar. “This was India I grew up,” she said. While travelling to twelve cities for her book, Nazia came across several human stories. She talked about five-year-old kids asking each other about their religious identity. “Surprisingly, they start hating and fighting with each other when the Muslim identity is revealed.” She then added, “When a child says ‘I am a Muslim but I don’t eat beef”, it reflects the India in its present form. This is what we have done to our kids. Bullying happens for many reasons be it the colour of your skin, the way you speak, about how cool or uncool you are but when bullying is done on the basis of one’s religion, it penetrates deep and deeply it infiltrates one’s being,” said Erum. The moderator Paroma Roy Chowdhury shared a story about her Muslim friend. “Given the situation like today, it would not have happened, with such hate mongering all around,” said Paroma, who has been friends with her Muslim friend for over four decades now. She questioned the panelists about the roles of literature in bridging the gaps and creating convergence. For Khan, the duty of a writer is to mirror the truth of the society, to present it in front of the readers. “Literature works as anti-venom,” he said. Nazia too felt that the onus is on both the sides to bridge gaps. “The stereotype pedalled 24×7 in television needs to be questioned. Literature plays a positive part in it,” summed up Erum.